The present field pattern in almost every village in central England is the result of an Enclosure Award at some time in the distant past. Prior to Enclosure, each village would have had two, three or possibly four large open fields, farmed on a communal system, with the good and not-so-good fields being divided equally amongst the villagers. This system is considered to be Anglo-Saxon in origin although it is very difficult to date a field with any precision. The only way of dating open field systems is by an examination of field names combined with historical documents, rental agreements, tithe maps and charters. The old open field system, heavily reliant on on the cooperation of all the villagers, gradually became less and less able to meet the needs of the expanding population. A number of problems soon arose: the difficulty of introducing new crops, as each open field had to have the same agreed crop; some farmers began to find ways to increase their holdings and so upset the allotment system, with outsiders also beginning to invest in the rights to strips; and last but not least, the very low yields obtained, – figures of only three times the seed sown, compared with a modern yield of forty-fold. Under the terms of the 1768 Enclosure Act, with the agreement of any other landowners in the village, landowners were permitted to bring a bill before Parliament, for permission to enclose their holdings. Later, a more general bill was passed to allow a cheaper, quicker enclosure, by dividing the land into ‘farms’ which could be rented out to suitably ambitious farmers. 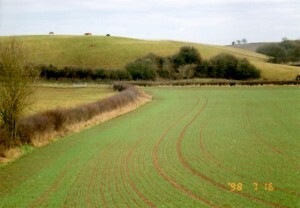 A land agent agreeable to all the parties concerned would be appointed to manage the changes, and the various landowners were then required to mark their holdings with hedges or stone walls, so creating the landscape we now think of as typically English, where small fields are surrounded by planted hedges. However the vast open fields did not always disappear completely. The keen eye can spot those remnants that have survived. Only where the fields have not been ploughed by modern machinery and left as pasture is it possible to identify the remains of the old system. The ridges and furrows are obvious. Less obvious perhaps are the reverse ‘S’ hedge lines which carry the ghostly imprint of the old fields in their shape. In Leamington there are still several remains of ridge and furrow to be found. 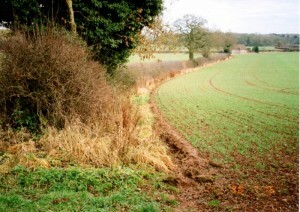 The first and most obvious traces are in the last field on Radford Road just west of the old Leamington Priors Parish boundary, as marked by the bridge over the stream from Whitnash. The old field pattern can best be seen from the riverside path on the north side of the river Leam. A second example, which lies on the long straight strip of land leading to the golf course and the swimming baths, between the River Leam and Newbold Terrace, needs a fertile imagination aided by the correct weather. 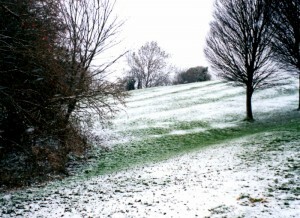 A light drifting of snow, or when the grass has just been mown are ideal conditions for viewing the marks and it is just possible to discern the baulk where two field systems met back to back, adjacent to where the new houses begin.The third and fourth remnants are to be found at the top of Upper Holly Walk, on the two slopes up to where Newbold Beeches once stood. On either side of the access path, there is evidence of plough marks. The left-hand slope is best judged against the skyline, but the plough marks on the right-hand slope can now only be seen when the grass has just been cut, or again, with fresh light snow. 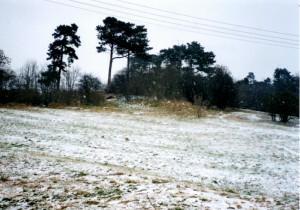 The nearby playing field of St Paul’s School has some fine ridge and furrow at the far end, where the ridges have been flattened. They illustrate exactly the difference in depth between the top of the ridge and the bottom of the furrow. 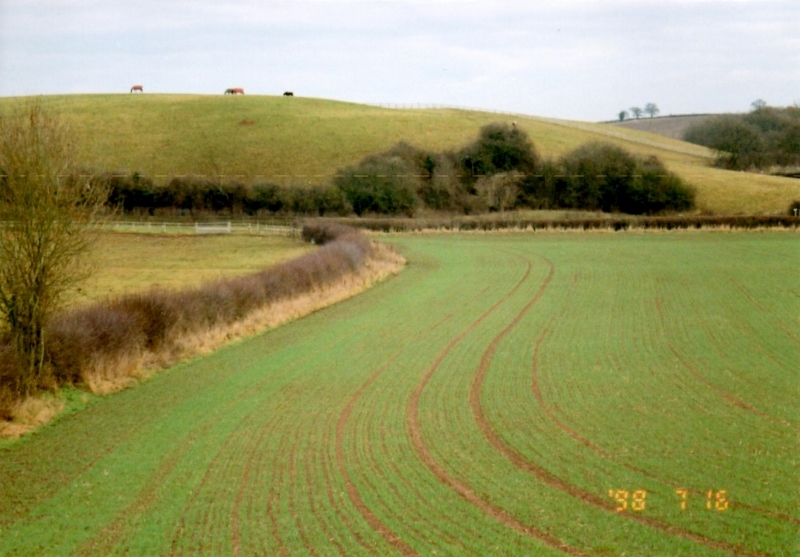 Reversed ‘S’ hedge lines can be seen in the Blackdown ‘parish’ fields not far away at the rear of the golf course. Many of the fields making up the Newbold golf course show prominent signs of the old ridge and furrow system, often on hills that would appear far too steep to be ploughed. It is also curious that the flat fields at the far end of the golf course show no signs of ridge and furrow. Either the evidence was destroyed when the course was built, or the land was never brought into the open field system because it was too far away from the village.The Leamington Enclosure map, which would give the layout of the open fields, no longer exists. There is a modern diagrammatic reconstruction of who owned which general areas, but it does not show the actual fields. Enclosure documentation does exist for nearby Milverton, complete with a large map, and it illustrates the detail and diplomacy that was necessary to keep all parties happy. The original maps and documents can be examined at the County Record Office in Warwick, and Leamington library has a digest of the same information.